I have always had a soft spot for white Rioja, whether fresh and crisp, barrel fermented or aged in oak. Well now there is a new style of dry white Rioja around. I say new, but actually it is an old style that has been brought back to life. 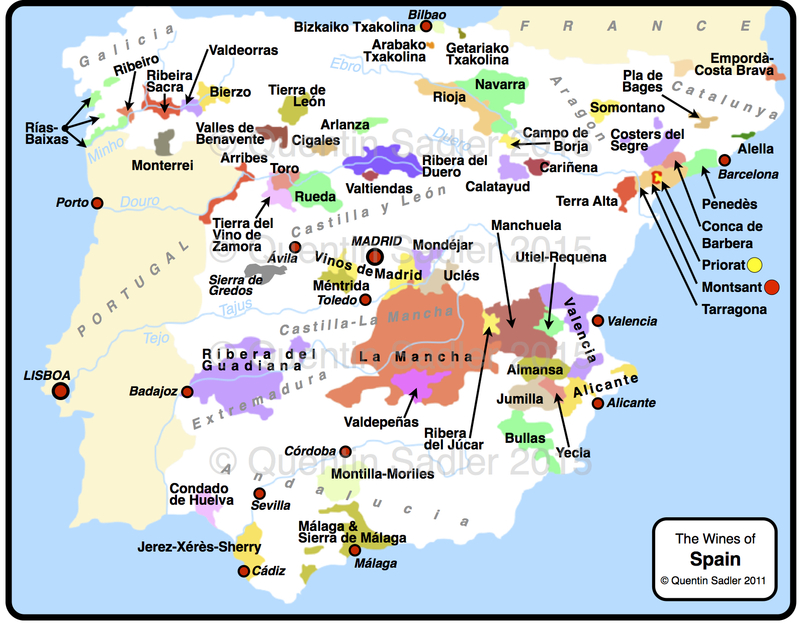 When I was young and just getting into wine I spent a great deal of time in Spain and one of the most widely sold white wines was Monopole made by the wonderful CVNE, Compañía Vinicola del Norte de España. 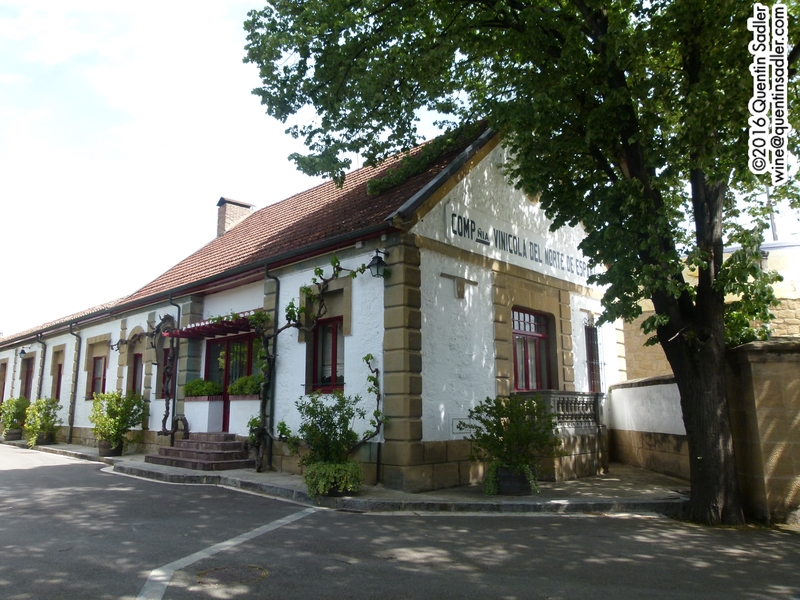 The Monopole had been created in 1914 and was given a French name, because the founding brothers – Eusebio and Raimundo Real de Asúa – loved the white wines of Burgundy, and a German style bottle because German white wines were so commercially important in those days. 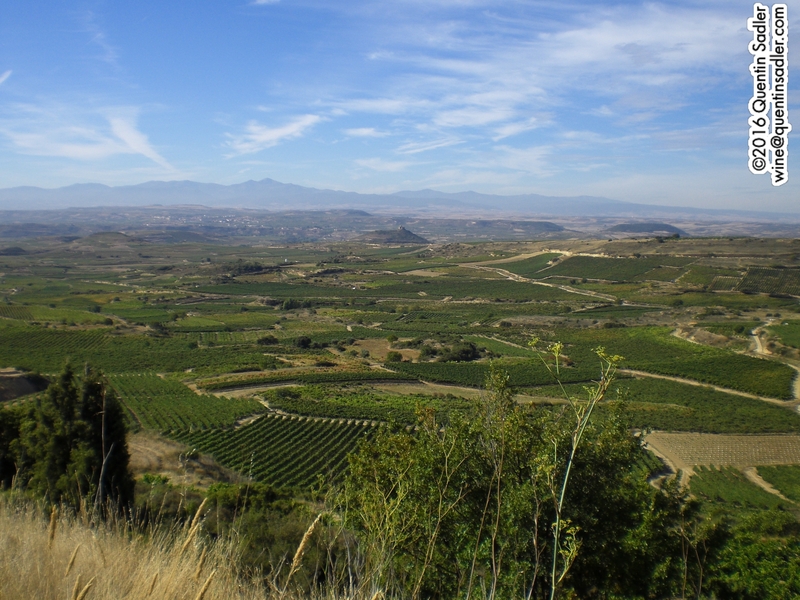 It was the first white Rioja made in anything like a fresh, lively, modern style. Of course in those days it was partly aged in oak, but it was a complete break with most white Riojas of the times. Ever since the early 1980s CVNE have made fresher, completely unoaked style of Monopole, which is a very good, just off-crisp wine that is very versatile and pleasurable. However to mark 100 years of Monopole, they have recently returned to making the traditional Monopole as well and it is wonderful to revisit this wine and to experience again what a fascinating – and delicious – wine style it is. They call this reborn wine Monople Clásico and like the ‘normal’ Monopole it is made from Rioja’s classic white grape Viura, but then it gets very different. Firstly the Viura juice is settled in concrete tanks, then fermented at low temperatures in stainless steel. Then they add a small amount of aged Manzanilla Sherry from the famous Bodegas Hidalgo – yes really. Manzanilla is basically a Fino Sherry from Sanlúcar de Barrameda in the Sherry region and so it is dry and ages with the Flor, or yeast, to give it complexity and that nutty, bready character. Then the blended wine is aged for 8 months in 300 and 500 litre barrels – used barrels so it softens the wine rather than flavours it. Now, I will have to whisper this and you will have to promise never to mention it to anybody else, but I do not really like Sherry. I appreciate it and am very interested in it, but cannot drink much of it for pleasure. What you have to realise is that Sherry holds the same place in many, possibly most, wine people’s hearts that Alfa Romeo does for petrol heads. You simply have no credibility unless you profess to love Sherry, so this will have to remain our little secret. So, adding Sherry to a wine might seem strange, illegal even given that Rioja is a PDO / appellation and so the grapes must be grown in the correct area for the term Rioja to appear on the label. That is true, but because CVNE had traditionally made the wine this way, they were allowed to do so again. The idea is strange, but it really, really works. It makes for a truly delicious, fine and complex wine that I loved. It seems that the management of CVNE were reminiscing about the old style Monopole, as the centenary of the brand was about to happen, so they sent down to the cellar for a bottle and could only find a single example left, a bottle from 1979. They tasted it and it was still in great condition, fresh, lively and so delicious that they decided to resurrect the style. To help them they called on the services of Ezequiel Garcia, the retired CVNE winemaker from the 1940s to the 1970s. Ezequiel was thrilled to be part of the project and had no reservations in resurrecting this classic wine from the past, indeed I am told that he found it a moving experience. The part of that loves 1940s music hopes that Ezequiel cried! 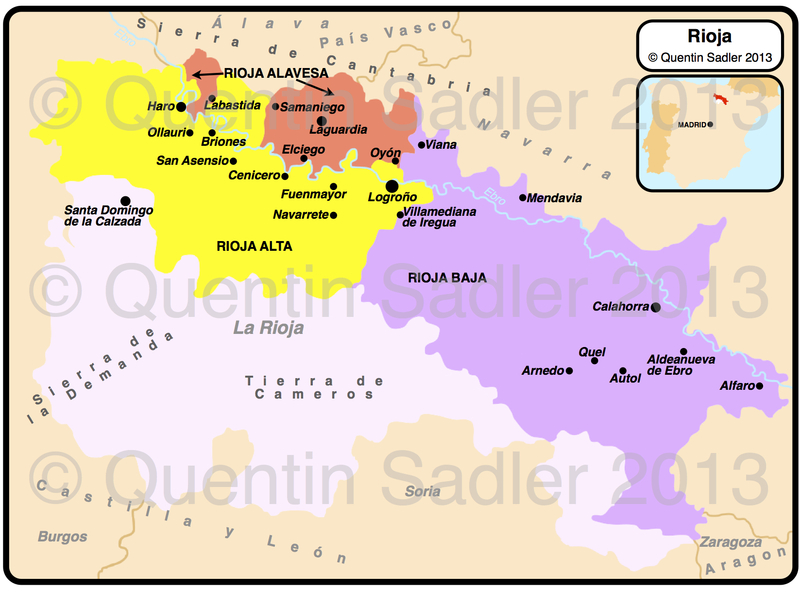 CVNE, like many of the original band of Rioja bodegas, are based in Haro in Rioja Alta. The nose is very appealing, delicately aromatic and lifted with waxy apples, light custard notes, some spice, wafts of brioche, flakey pastry, rock pools and sea breeze. The palate is very fresh, lively and slightly saline as well sever so slightly succulent with cooked lemons and apple fruit as well as a waxy quality. There is something smoky and haunting about this wine and the flavours build in the mouth becoming slightly rounded and mealy even. This is a beguiling, complex and fascinating wine that is deeply satisfying, bone dry and wonderfully complete with richness and freshness vying with each other to dominate your senses – 93/100 points. This would be wonderful with some sea bream, sea bass, mussels, clams, garlic prawns, oysters, chicken, pâté, smoked salmon, or anything light. Available in the UK for around £25 a bottle from: The Wine Reserve. It is also available mail order from Spain – until Brexit ruins everything – for around €15 a bottle plus shipping – from Decántalo and Uvinum. Love your comparison of Sherry and Alfa-Romeo, and I can [very secretly] tell you that I can’t find my love of sherry too – but nobody should know that.